The TV news today includes the Waco trailer, a look at ballooning TV budgets, a Channing Tatum-produced TV show, and a Big Bang return. Variety has a look at the ballooning TV show budgets in the Peak TV era and what that could mean going forward. 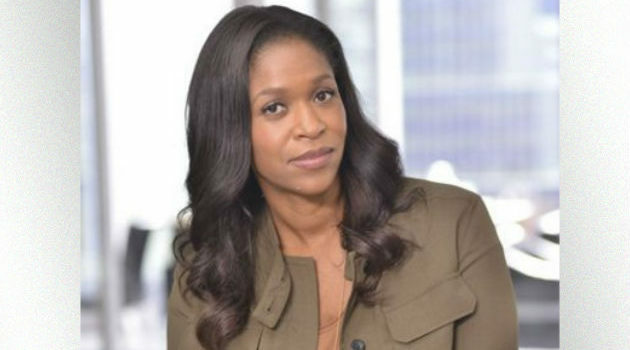 Alias alum Merrin Dungey has joined upcoming FOX medical drama The Resident as pragmatic hospital CEO Claire Thorpe, whose sole focus is the financial health of the hospital she oversees. The role was originally played by Valerie Cruz in the pilot before Moran Atias replaced her; with Dungey assuming the role, a new role will be provided for Atias. Bob Newhart will be returning to The Big Bang Theory for another guest spot as Professor Proton. It’s as yet unclear what brings him back into the fold. The Neighbors alum Toks Olagundoye has joined the pilot for Syfy’s series adaptation of Tremors. She’ll be playing city-chic engineer Jessica Florence, whose arrival in town was facilitated by a contract to expand an access road. The second season of HBO’s Tracy Ullman Show is set to premiere Friday, October 20th at 11:00. Episodes will feature Dame Judi Dench relying on her beloved status to get herself out of trouble; Dame Maggie Smith starting a Youtube channel; and German Chancellor Angela Merkel singing a song about loneliness. FOX’s live production of Rent is set to air January 2019. No word on casting has yet to be released. Channing Tatum is executive producing Gorilla and the Bird, a drama based on Zach McDermott’s memoir of the same name. The series, as yet unattached to a network, is about Zack’s (the Gorilla) fight to regain his sanity after a devastating psychotic break, with the help of the only person who didn’t give up on him, his mother (The Bird). Former Vanity Fair editor Tina Brown’s upcoming memoir The Vanity Fair Diaries has been optioned for series development by Made Up Pictures. The series, which the Brit’s eight-year reign at the magazine and meteoric rise in a male-dominated industry, will be going out to writers, filmmakers, and cast shortly. NBC is developing Too Close to Home, a sister comedy executive produced by Ellen DeGeneres. The series chronicles the relationship between two sisters who took different paths in life- one of them bettered her circumstances through education and hard work, which paid off in the form of a relatively good life, while the other was much lazier and flew by the seat of her pants. The lazier sister wins the lotto, though, and soon comes barreling into her sibling’s life whether she wants it or not. FOX is developing Cool Kids, a blue-collar multi-cam about an unconventional family in Middle America. Independent studio Gaumont has put 8, a thriller based on Stephen King novel N, into development. The series follows three teenagers who encounter an ancient evil contained in a ring of stones in the woods of Maine and must face it again when it returns 25 years later. Guilt creators Kathryn Price and Nichole Millard have sold legal family drama One Call That’s All to FOX. The series revolves around a larger-than-life personal-injury attorney in Atlanta and his huge, highly entertaining family, who all work for him. NBC is developing Bellevue, a medical drama following the new medical director hired at the infamous Manhattan hospital who must balance his new responsibilities with a recent cancer diagnosis. ABC is developing Valley Girls, a comedy about four women in Silicon Valley fighting to succeed in a male-dominated industry. KryptonSite has photos from the Supergirl premiere and a new trailer that showcases Mon-El. Plus, check out who’s playing Saturn Girl. GreenArrowTV has a video that pits Canary vs. Canary and a new promo from Canada’s Space Channel. Plus, Stephen Amell named his favorite co-star to film with at Salt Lake Comic-Con. KryptonSite has commentary on whether Tom Welling could be making a Flash appearance. Here’s another preview of the upcoming third season of NBC comedy Superstore. AMC released a teaser for the eighth season of The Walking Dead. Here’s another look at upcoming FOX comedy Ghosted. Paramount Network has released the first trailer for upcoming six-episode limited series Waco, which stars Taylor Kitsch as cult leader David Koresh.